I honestly don't think I can get enough of this series! I just absolutely love the dynamics that happen in these books and the characters are all wonderful and unique. 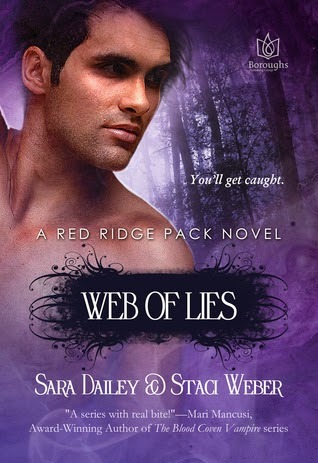 Web of Lies proves my point that I can't get enough, because I loved this story so much! I will admit that the beginning was a little bit slow, but as soon as Scarlett's secret is out of the bag all hell breaks loose and I couldn't stop reading it. I actually had to force myself to put it down and go to sleep just to wake up in the morning and finish it. It was seriously fantastic! Luke is such a strong guy and he is always trying to do what is right for his family and pack. He never, ever thinks about himself or his own happiness and I loved that quality about it. It was so heart wrenching to read, because he is such a perfect guy and you just want him to be happy. Scarlett is a beautiful girl who is mistaken by her own pack to be a dirty girl, but she really isn't. After everyone accepted to rumors about her back home, she just decided to go with it and pretend to be that girl, but once you get to know her you realize she is really amazing. I kind of knew what was going to happen in this book, due to signs that have happened in the previous 2 books, but I still enjoyed the ride. There were still a lot of things that happened that I wasn't expecting so it really made the story even better. Overall, it was such a great addition to the series and I hope there is still more to come from it. I absolutely loved this edition to the series. The series as a whole is amazing and I don't think I can ever get enough of it. The characters are all so different and unique and that is one thing that I absolutely love about these books. You really get into the characters heads and learn who they are. The two main characters in Web of Lies, Luke and Scarlett, are wonderful and I loved getting to know them. The story was a tad predictable since there are clues from the previous two books, but there were still a lot of things that happened that I wasn't expecting at all. Overall, I loved it and I hope there are more books to come! Congrats on reading 6 books. That's great! 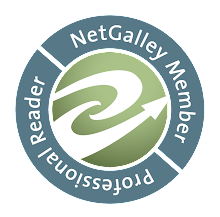 We are so glad you liked Web of Lies! Thanks for allowing us to stop by today! We so very excited about Web of Lies! Sorry to say that there is only one book remaining in the series, but I promise it will be awesome! Oh god! Only one more!! Please tell me you have more amazing books/series in the works for the future! !